When you think of a writer, what do you envision? Do you picture someone struggling alone in an attic, surrounded by crumpled papers, overflowing ashtrays and empty whiskey bottles? Papa Hemingway, perhaps? Or maybe you envision a cozy writing retreat, with scenic views and solitude. No matter what you imagine, it’s probably one person, working in solitude. That’s the Myth of the Lone Writer – and like most myths, it can get in our way. Writing is a social act. As writers, we must connect with readers. If we never interact with people, whether virtually or in person, we probably won’t succeed. Even novelists and poets will tell you that that, with book promotion and platform building, their lives are hardly lonely and quiet all the time. Because you think of yourself as a writer, you isolate yourself from others. Then you’re disappointed and frustrated when your efforts aren’t appreciated or valued. Because you work with other people, you don’t think of yourself as a “real” writer. Neither attitude serves you well. To set yourself up for success, you need to interact with other people when planning and getting approval for your writing. If you neglect the key stakeholders, your work will flounder. You may not be writing the great American novel on the job. Perhaps you’re working on a project plan, blog post, or an annual report with colleagues or on a team. It’s writing nonetheless, requiring both craft and creativity. You’re a writer. 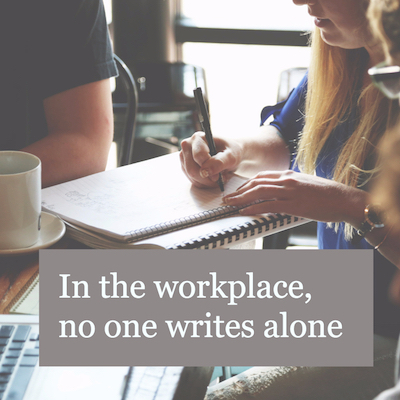 For workplace writers, success doesn’t depend on booze-fueled inspiration or sacred silence. 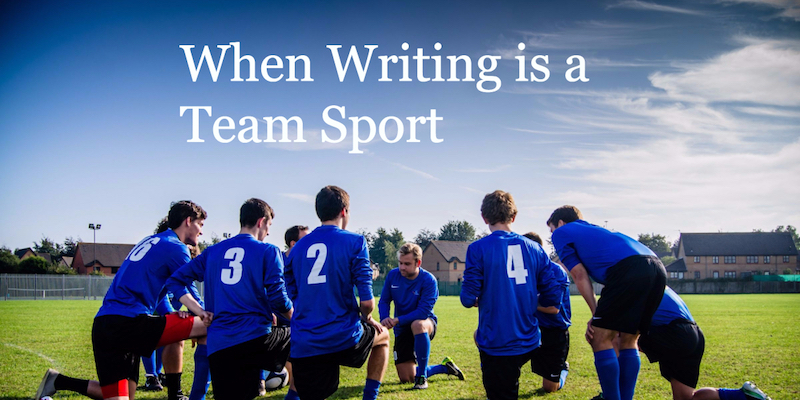 For you, writing is a team sport. Set aside the myth of the Lone Writer. Embrace teamwork instead. The readers are the fans. Without them, you won’t get paid to play the game. If you’re lucky, you’re the star player on the team, and others around you recognize and value your efforts. You’re Steph Curry on the Golden State Warriors, for example – a star performer who also brings out the best in those around him. Sometimes the writer is a supporting player, doing the work yet remaining invisible to the fans. This happens if you ghost write, or write in the voice of a business brand. The best thing you can do for your writing career is to put aside that image of the lonely writer, and substitute one of a valuable team player. Dedicate time and effort to communicating with the team. Understand (and articulate) your role, and those of the other players. Make sure everyone knows the play. Simplify shifting this mindset goes a long way to changing your pattern of success at work. For more along this theme, see my latest book The Workplace Writer’s Process.